To utilize develop sound land use recommendations that respect the communities natural resources and extensive presence and historic development impacts within floodplain areas. 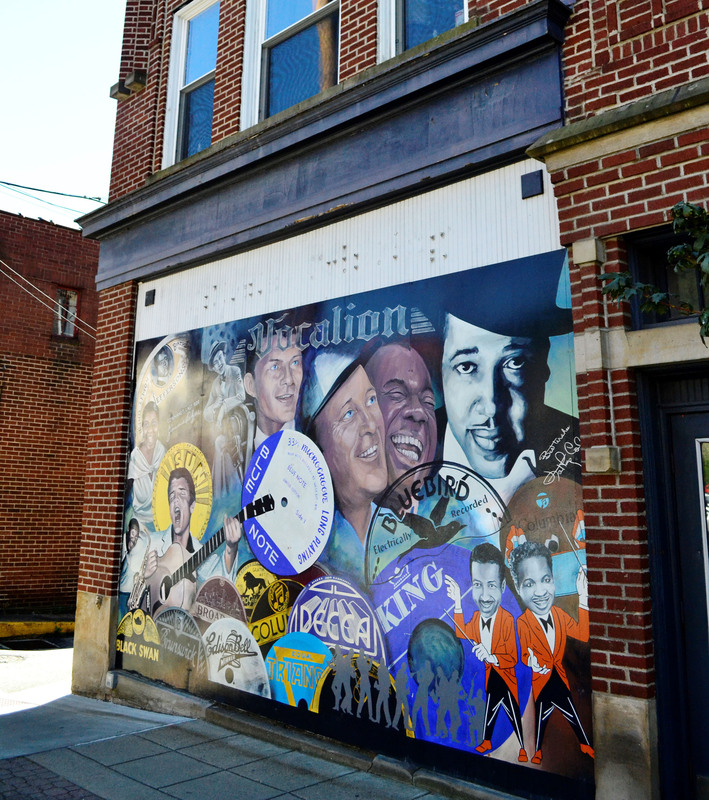 Three river towns along the Allegheny River have endured years of flooding; with changes to watershed policies and physical improvements in surrounding communities. 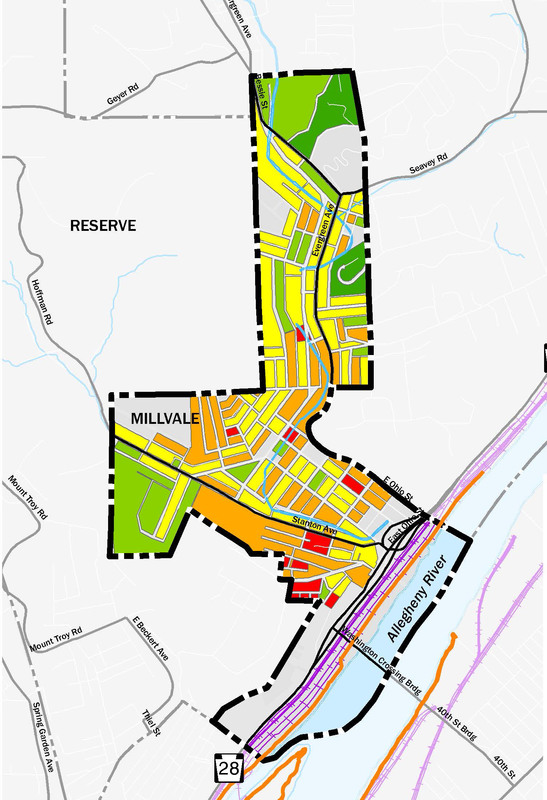 The Boroughs of Etna, Millvale and Sharpsburg have now realized greater opportunities in balancing the opportunities, dynamics, and complexities of floodplain management, the nature of real estate, the economy, community resources and community development patterns. 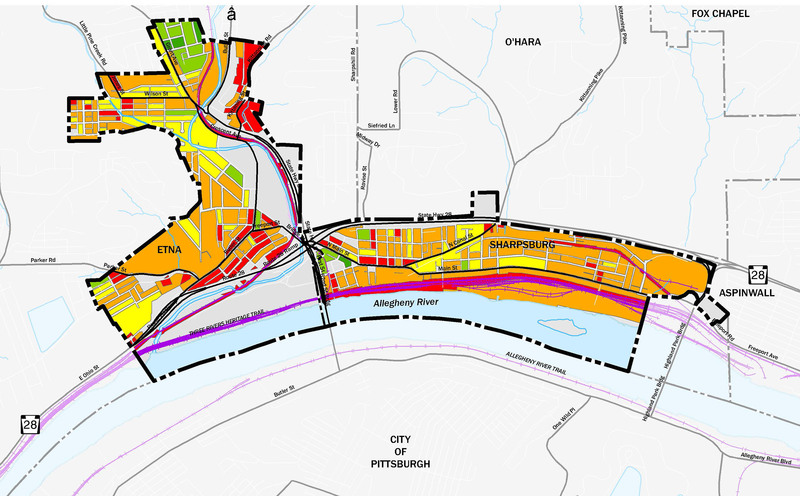 As part of the Comprehensive Plan, the EPD Planning Team developed an extensive series of recommendations – many of which were shaped by the presence of floodplains and impacts of flooding. The Future Land Use Plan identifies new and shifted residential land use areas to keep residents out of harm’s way. 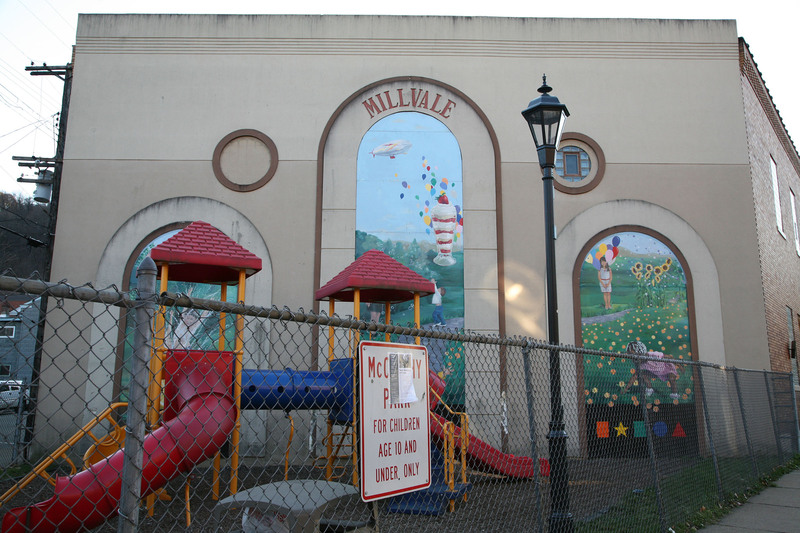 Building on the Comprehensive Plan, EPD was engaged to work with each of the three communities to develop legislation in the form of updated Zoning Ordinances that would contribute to the implementation of the overall Multi-Municipal Comprehensive Plan. The updated Zoning Ordinances address design guidelines, land uses and administrative processes for applications, reviews, and submittals. Although each community has a separate ordinance, EPD has worked to coordinate updates to collectively share land uses and to align with the multi-municipal goals of the Comprehensive Plan.